There are millions of auto rickshaw drivers in India, but many are notoriously corrupt with wildly inconsistent pricing. 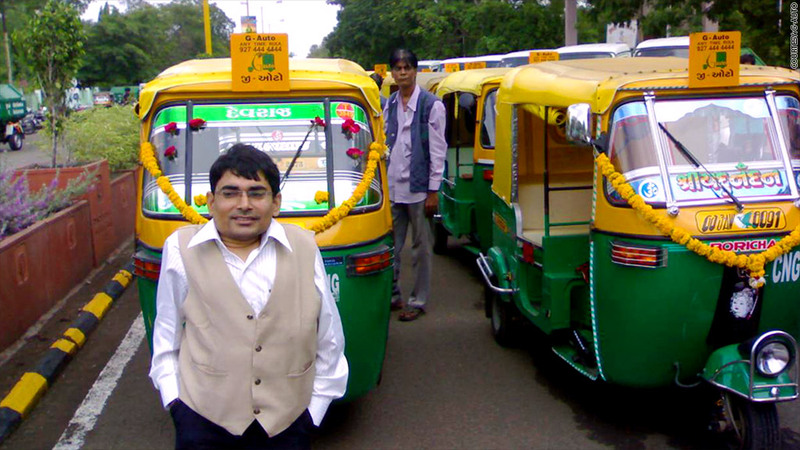 "When you hire an [auto] rickshaw, you'd never know what they'll charge," said entrepreneur Nirmal Kumar. So in 2009, he launched G-Auto to professionalize the industry and hold drivers accountable. G-Auto ensures drivers always charge a standard fare (unlike independent drivers) and lets passengers reserve a rickshaw in advance. Passengers pay a facility fee (which goes to G-Auto), plus the fare, which drivers keep. Kumar won the Grand MobiPrize, sponsored by Ford (F) and Takata, and plans to use the $15,000 prize to help expand his network to include 100,000 drivers. "We want to be in 100 cities in the next five years," said Kumar.